Pour a wine to honor its birthright. Pour it with food. Tastings can fool you—or at least teach you something. Formal tastings, anyway. The format is simple and well established. Wines are poured serially, and the tasting order generally flows white to red, or young to aged, or simple to complex (and sometimes all of the above). Each wine is evaluated more or less in isolation, the taster making notes on the first wine and rendering an assessment before moving on to the next. Such tastings are designed to support a clinical analysis of each wine, and they are ubiquitous, the basis for the majority of wine ratings now coursing through the media’s veins. But they are not the best way to evaluate wines. And they are especially not the best way to evaluate European wines. That’s because the European vinous aesthetic makes wine contingent on food. Wine is rarely drunk in isolation, as an aperitif or an end unto itself. Wine is a beverage for the table, meant for refreshment and compatibility with cuisine. Plus, regional wine styles have grown up with regional foods, which gets you, in Rías Baixas, for example, a crisp white wine that marries with North Atlantic seafood, and in La Rioja, a woodsy red for savory lamb and pork. Yes, I’m speaking generally. A winemaker can certainly choose to make a wine that’s pleasant by the glass—riper, say, more mouth-filling, higher in alcohol, sweeter—but he or she may have to go off-label to do so, because the region’s appellation laws have codified the stylistic features of wine-with-food, not wine-without. Still, even in Europe that formal tasting model—one wine after another, each isolated from the next (and isolated from anything else in your mouth, for that matter)—is the standard format. In the best cases, though, and in my favorite cases, such tastings are followed by lunch, or dinner, or at least an ample snack. As we retreat to the table, we sling the bottles along, too, pouring them to honor their birthright: pouring them with food. That’s when the wines wake up, and we more fully wake up to the wines. At the table it’s all different. A ripe, oaky wine can suddenly seem ponderous. A thin, astringent wine can suddenly feel refreshing. Here’s an example. I recently visited Bodegas Solar Viejo in Rioja Alavesa to taste their current releases. During the seated tasting, wines from the 2011, 2012, and 2014 vintages seemed ripe and amiable, with juicy cherry fruits and notes of spice and vanilla. But their 2013 felt like an outlier. Tight and nervy, its fruit skewed toward red grapefruit, its body was lean and linear. I asked my host about that vintage. Cold, perhaps? She fingered the charts issued by Rioja’s Consejo Regulador. 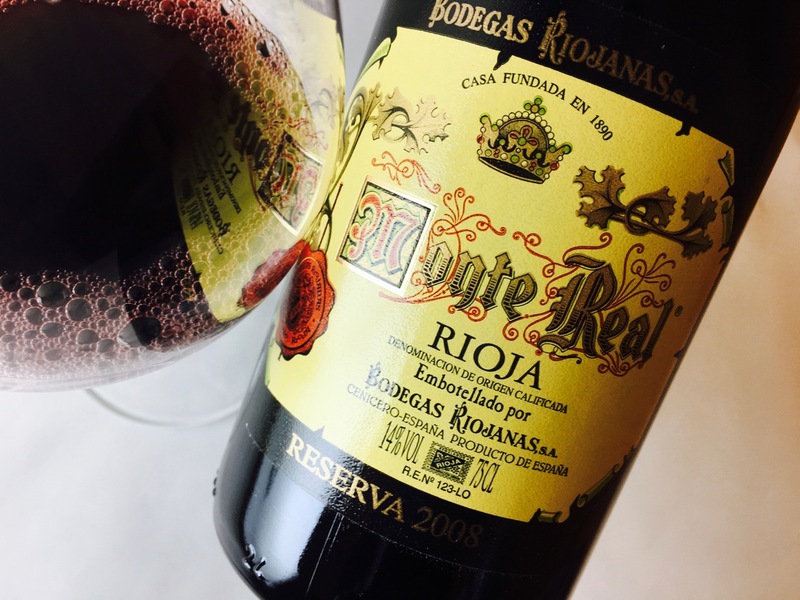 While several recent vintages had been deemed Excellent or Very Good, 2013 was, simply, Good—meaning, in Consejo parlance, cool, wet, and late. Fruit had struggled to ripen. This wine was a transparent pane to that vintage, a clear view into a cold, slow year. But then something happened. As the 2013 sat in the glass, it began to unwind and relax. Soon a plate of jamón and chorizo landed on the table, scattered with almonds and walnuts and flanked by wedges of Manchego and the local ewe’s milk cheese, Idiazabal. With these local foods, and with that extra air and time, the 2013 snapped together. Whereas the other wines seemed opulent, heightening the food’s richness, this one felt vibrant and vitalizing. All of them worked well with the flavors on the plate, but the freshness of that 2013 felt a tonic against the rich paste of the cheese and salty savoriness of the charcuterie. Evaluated only in isolation, this wine would have flunked. In context it triumphed. It was a reminder to come to the table, and eat. One hundred percent Tempranillo grown in Rioja Alavesa. 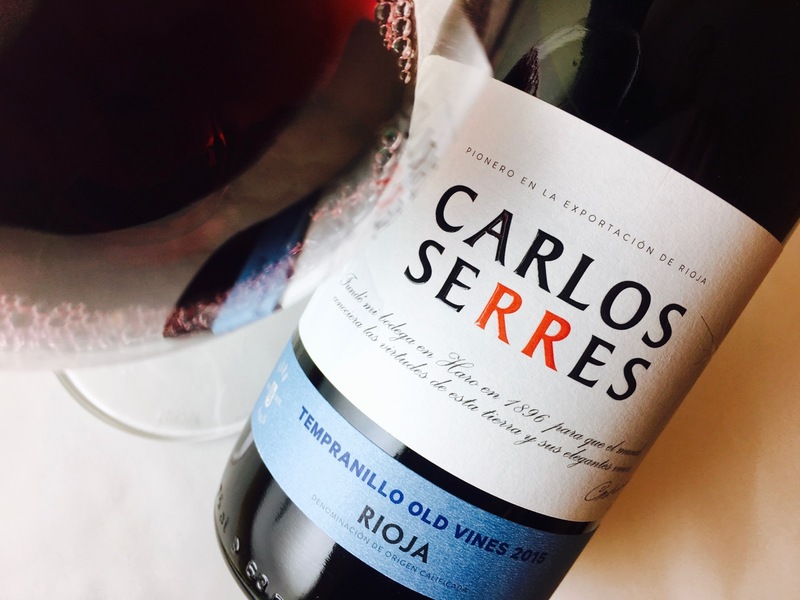 The wine is a bright ruby color with a flame pink rim, and it’s youthful, spritely and vivacious, with a peppery fragrance and a body like ruby grapefruit. Its prickly cranberry finish adds zest. One hundred percent Tempranillo aged one year in 80 percent American and 20 percent French oak. The oak’s spice and whiff of vanilla are a seasoning to the wine’s bright cherry, field strawberry, and cranberry fruit. The texture is fine-grained but with considerable finishing astringency that refreshes the palate. A wine that’s amiable and ripe but not dense. Also 100 percent Tempranillo, aged the requisite one year in 80 percent American and 20 percent French oak. This wine was tight and nervy, with thin extract and fruit skewing toward red grapefruit and sharp, tart cherry. The wood aging seems to accentuate its sourness. But with air and time the glass it knit together and was the best with an array of rich local foods. All wines were media samples for review. Ferrer Family Wines sponsored my travel. View my Sample and Travel Policy. Thanks for an enjoyable reminder about the highest and best purpose for a bottle of wine. Thankfully more food partners are coming from California and other new world regions, along with the traditional old world regions. Thank you, David, for your enduring readership and support. It’s not a new idea, I know. Actually, it’s one of the oldest ideas. But this was simply one good example. It is a message that bears repeating again and again. I have lost count of how often I read death sentences for wines that do not wow in blind tastings or impress as a cocktail (2011 Cal Cab & Pinot, 2007 Bordeaux, 2007 Burgundy, etc. ). Put those same wines on a dinner table and the results are much more favorable, and you can still taste your food!